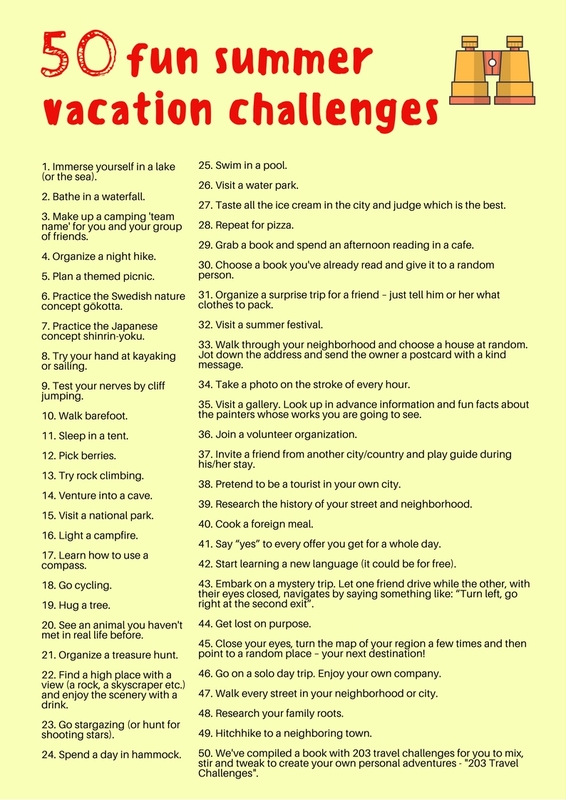 A recent study has proven that a well-planned vacation is better than knocking around aimlessly while the days slip by. 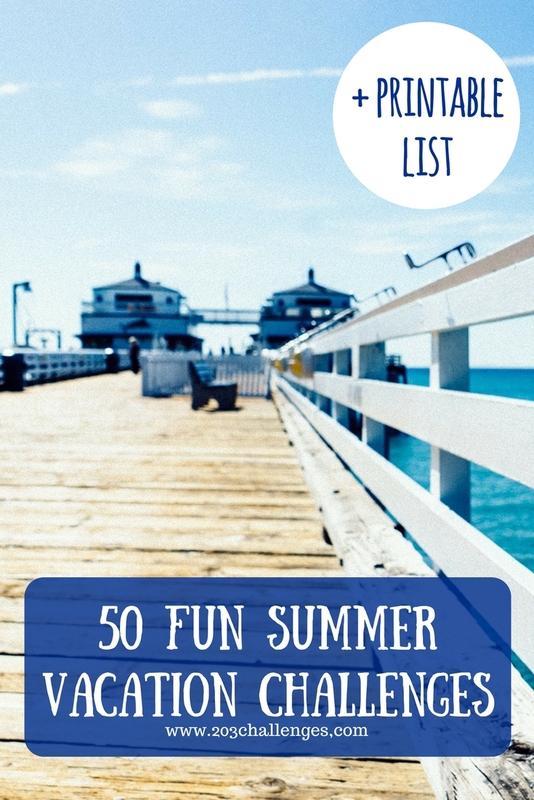 And while a military-style plan won’t make it really feel like a vacation, here is a fun list to help you find a happy medium as you get creative and challenge yourself this summer. You can download a printable version of the list here. 1. Immerse yourself in a lake (or the sea). 2. Bathe in a waterfall. 3. Make up a camping ‘team name’ for you and your group of friends. 4. Organize a night hike. 5. Plan a themed picnic. 6. Practice the Swedish nature concept gökotta. 8. Try your hand at kayaking or sailing. 9. Test your nerves by cliff jumping. 11. Sleep in a tent. 14. Venture into a cave. 17. Learn how to use a compass. 20. See an animal you haven’t met in real life before. 21. Organize a treasure hunt. 22. Find a high place with a view (a rock, a skyscraper etc.) and enjoy the scenery with a drink. 23. Go stargazing (or hunt for shooting stars). 24. Spend a day in hammock. 25. Swim in a pool. 26. Visit a water park. 27. Taste all the ice cream in the city and judge which is the best. 29. Grab a book and spend an afternoon reading in a cafe. 30. Choose a book you’ve already read and give it to a random person. 31. Organize a surprise trip for a friend – just tell him or her what clothes to pack. 32. Visit a summer festival. 33. Walk through your neighborhood and choose a house at random. Jot down the address and send the owner a postcard with a kind message. 34. Take a photo on the stroke of every hour. 35. Visit a gallery. Prepare by looking up information and fun facts about the painters whose works you are going to see. 36. Join a volunteer organization. 37. Invite a friend from another city/country and play guide during his/her stay. 38. Pretend to be a tourist in your own city. 39. Research the history of your street and neighborhood. 40. Cook a foreign meal. 41. Say “yes” to every offer you get for a whole day. 42. Start learning a new language (it could be for free). 43. Embark on a mystery trip. Let one friend drive while the other, with their eyes closed, navigates by saying something like: “Turn left, go right at the second exit”. 44. Get lost on purpose. 45. Close your eyes, turn the map of your region a few times and then point to a random place – your next destination! 46. Go on a solo day trip. Enjoy your own company. 47. Walk every street in your neighborhood or city. 48. Research your family roots. 49. Hitchhike to a neighboring town. 50. Looking for more creative travel ideas? 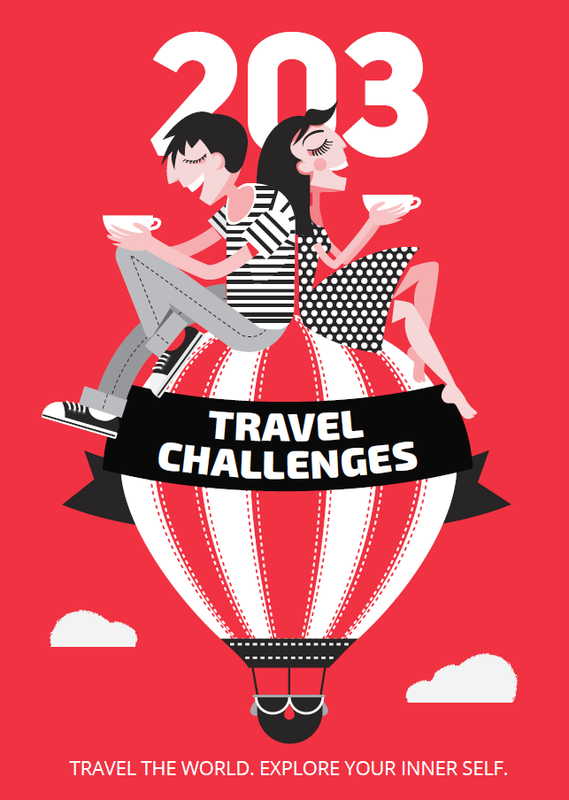 We’ve compiled a book with 203 travel challenges for you to mix, stir and tweak to create your own personal adventures! 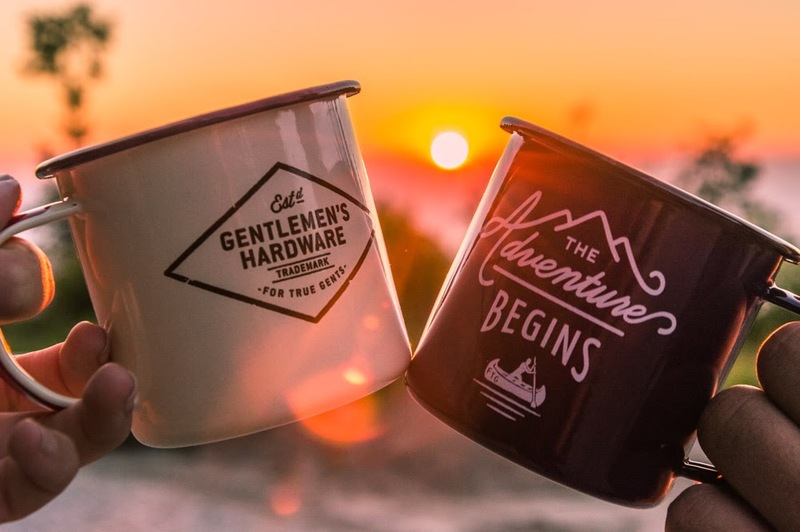 No matter whether you’re a beginner or a seasoned traveler, you’ll find some inspiring ideas within.